This Summer Mitzvah was a Slam Dunk! After navigating my way from the parking garage to the Levine Center on the Queens University Campus I found Dina, Kristen, and our new team member, Danielle. Danielle recently moved to Charlotte after her college graduation and has been a wonderful addition to DBB Events. 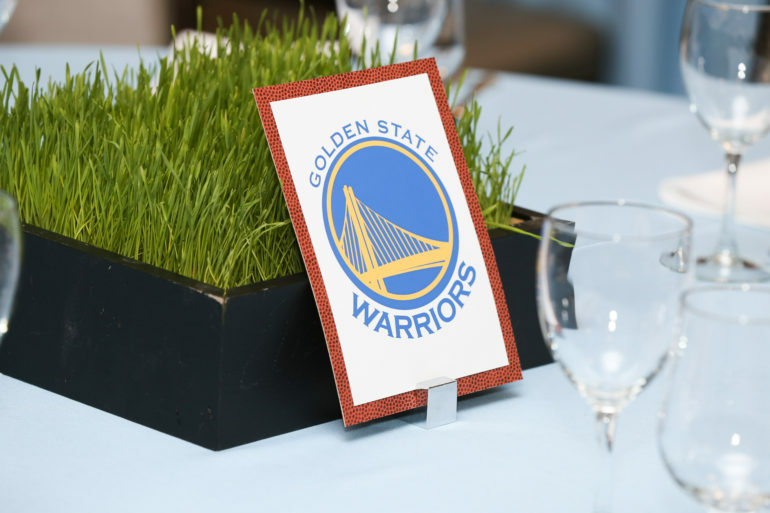 In preparation for our basketball themed Bar Mitzvah we began the evening by arranging furniture, laying linens, and opening doors for our friendly vendors. As guests started arriving, I was posted at the main entrance to gather the many cards and presents gifted to the man of the hour, Evan. 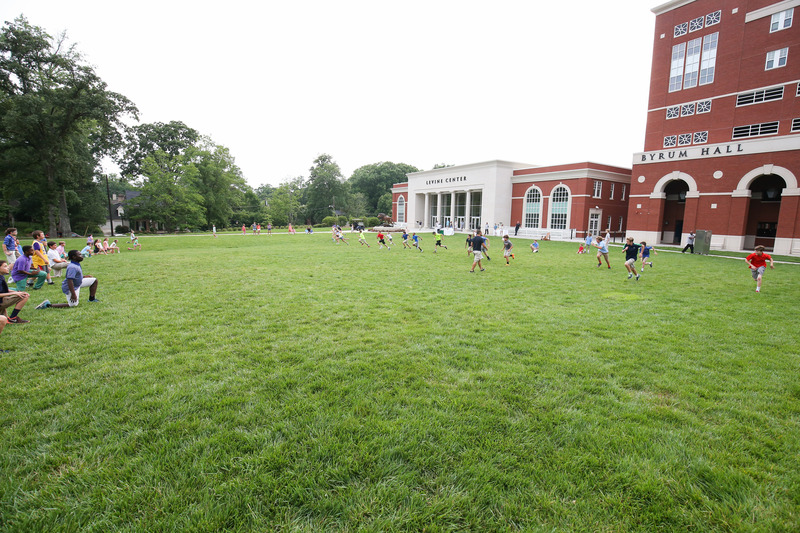 As I gathered the goods, the teenagers were welcomed with bottles of rootbeer and plenty of competition-orientated activities prompted by Split Second Sound. 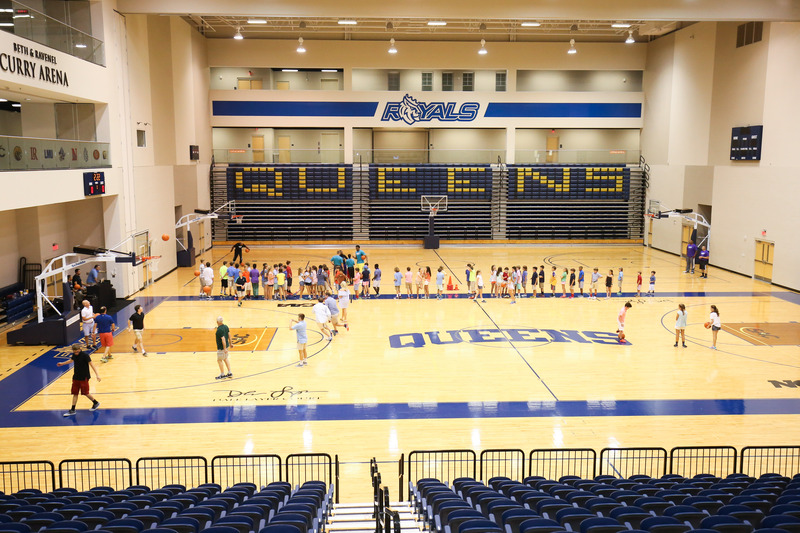 Immediately after dinner was served, the teenagers rushed onto the Queens College basketball courts. They were instantly mesmerized as they were greeted by the Hornet’s coaching staff for group training! 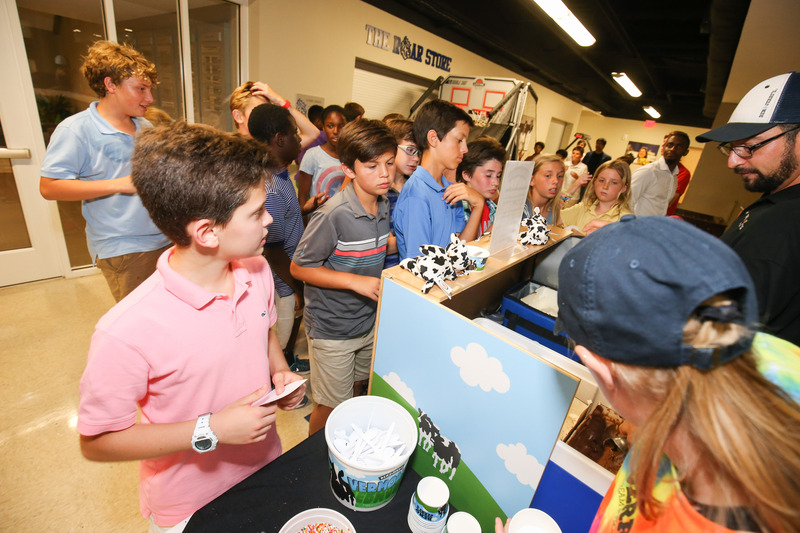 After becoming pro-athletes they then had the option to partake in pop-a-shots and air hockey, indulge in Ben & Jerry’s ice cream and Polka Dot Bake Shop mini cupcakes, or make memories at the photo booth! Needless to say, all of the kids were worn out by the end of the night as they drifted into their parent’s car and begged for DBB Events to plan their next big party.